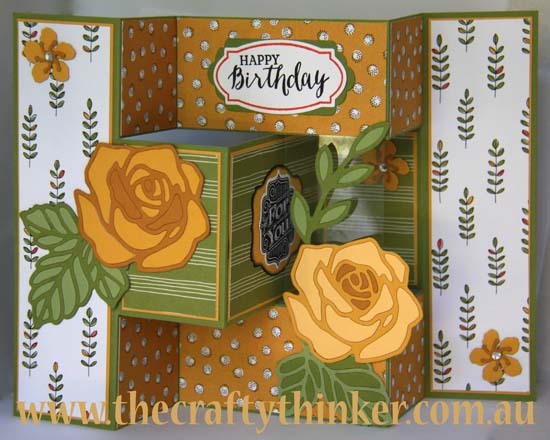 In need of a Tri-Fold card sample for one of my classes, I made this one featuring the Rose Garden Framelits and the beautiful FREE Sale-A-Bration paper - Wildflower Fields (with a $90 purchase). I won't add to the proliferation of tutorials for Tri-Fold cards here but, if by chance you aren't familiar with this fold, you will be able to find many great tutorials through good old Google! I didn't layer the yellow horizontal panels but for all the other panels, I have layered the printed paper onto Hello Honey cardstock. I cut the Rose Garden flowers and leaves several times in varying shades: So Saffron, Crushed Curry and Delightful Dijon for the flower and Pear Pizzazz and Old Olive for the leaves. Then I did a little mix and match paper piecing. The small flowers are cut with one of the Botanical Builder framelits. I stamped the frame from Rose Wonder in Cherry Cobbler ink onto Whisper White cardstock, added the birthday greeting in black ink and then cut it with one of the Rose Garden framelits. 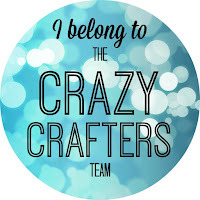 I layered this onto a label cut with a Lots of Labels framelit - extended in length using this method. I stamped one of the greetings from the Tag Talk stamp set in black onto Whisper White cardstock and punched it out with the matching Label Bracket Punch. 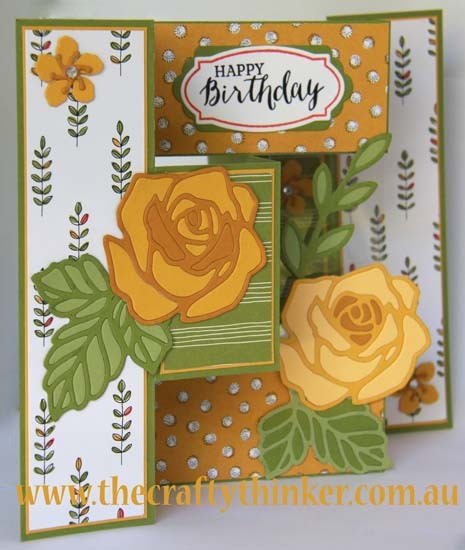 I then layered this on to Hello Honey cardstock cut with a Deco Label Framelit and edged with black ink and a sponge dauber. If you look carefully, you'll see that I supported the right hand flower and leaves with a strip of acetate just in case the leaves couldn't handle the folding and unfolding. To do this, I positioned the acetate prior to sticking down my designer paper. If you'd like to purchase any of the products I used in this project - just click on the image below. OMG!! This is so gorgeous !! I have tried Tri-Fold card before but the measurement was too complicated. It didn't turn out so good. Could you show me how to make it next time we get together? Absolutely - it will be my pleasure!